Roger Federer began his quest to return to No.1 in the ATP Rankings for the first time in over five years with a 6-1, 6-2 win over qualifier Ruben Bemelmans at the ABN AMRO World Tennis Tournament in Rotterdam. 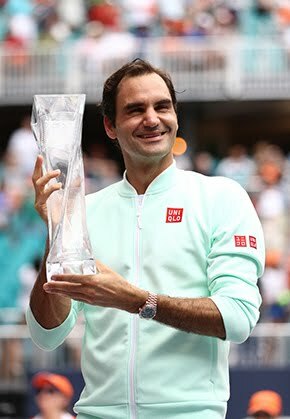 Federer, who will overtake Rafael Nadal at the top of the ATP Rankings if he reaches the semi-finals, moved to within just two wins of the achievement after his 47-minute, first-round win over the No. 116. The top seed raced to a one-set lead in just 18 minutes against his Belgian opponent, dropping just four points on serve as he won clinched set point with a put-away forehand winner. The second set continued in much the same vein as the opener, with Federer immediately breaking and consolidating to love for a 2-0 lead. Federer had two break points for a double-break lead in the next game, but the qualifier held firm to keep the deficit to a single break. 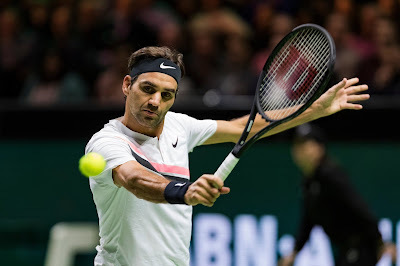 Federer did get the second break in the penultimate game of the match, rifling a backhand passing shot that Bemelmans could only return short before the World No. 2 swatted the ball into the open court. 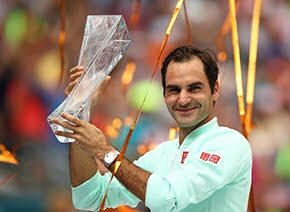 The two-time champion then completed a perfect set on serve, winning 16 out of 16 service points, holding to love for the fourth time in a row to secure his place in the second round. The 36-year-old has now moved one step closer to becoming the oldest World No. 1 in history, with Andre Agassi currently holding the record. The American last held the top spot on 7 September 2003 at 33. Federer’s is yet to lose a match against his next opponent, Philipp Kohlschreiber. The 20-time Grand Slam champion leads their ATP Head to Head series 12-0. “It's a different match, changing from lefty to righty,” said Federer. “I just hope I can play a good match. It is a sprint to the finish.